The “Movies with a View” series returns in 2012 at Pier 1 Harbor View Lawn near the Brooklyn Bridge for two months of film under the stars and in front of that stellar view. This year’s series runs Thursdays in July and August, and is now actually called “SyFy Movies With a View” (it’s sponsored by the SyFy network), though only the July 5 opening film, E.T. 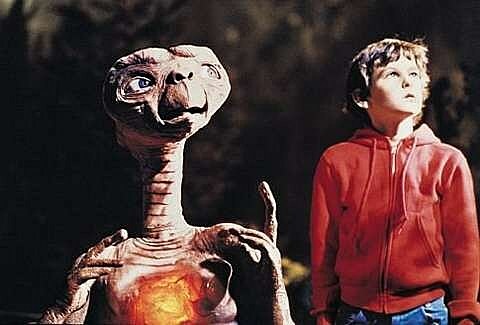 : The Extra Terrestrial, falls under science fiction. Yes, that is slightly confusing, but remember… it’s free. Movies include Clueless, Barefoot in the Park, Wet Hot American Summer, Unforgiven, and an audience choice. The movies are all paired with a short film and a DJ. Music starts at 6PM with the movies at sunset. Between this, Summerscreen, Rooftop Films, and a handful of other free film series, there is no shortage of outdoor cinematic entertainment for NYC this summer. The full SyFy Movies with a View schedule is below. Movie: Vote for your movie selection at this evening’s event!